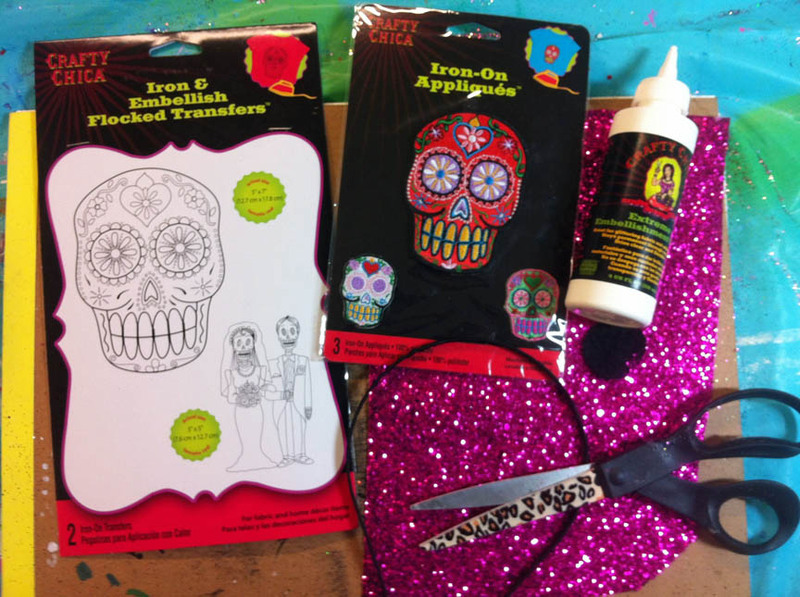 My mom, The Crafty Chica, has a new product line out at Michaels Stores through November 11! 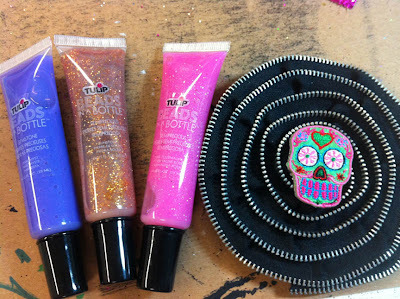 I thought I’d use some of her supplies to make some Day of the Dead hair accessories. The first one I made is this headband! You’ll need a headband and a piece of felt. Plus the design stuff. Here is a link to all the Crafty Chica products! I used the Flocked Iron On and ironed it to a piece of glittered canvas. 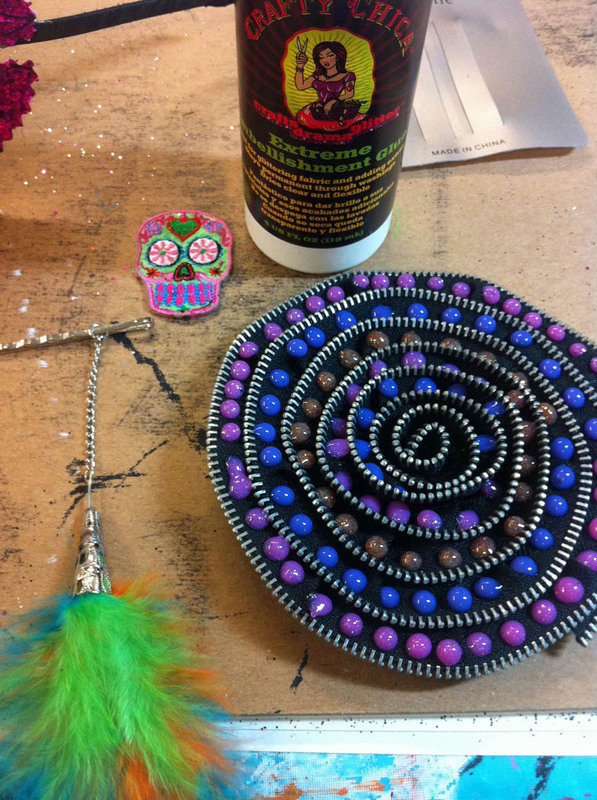 I then added feathers and gems. 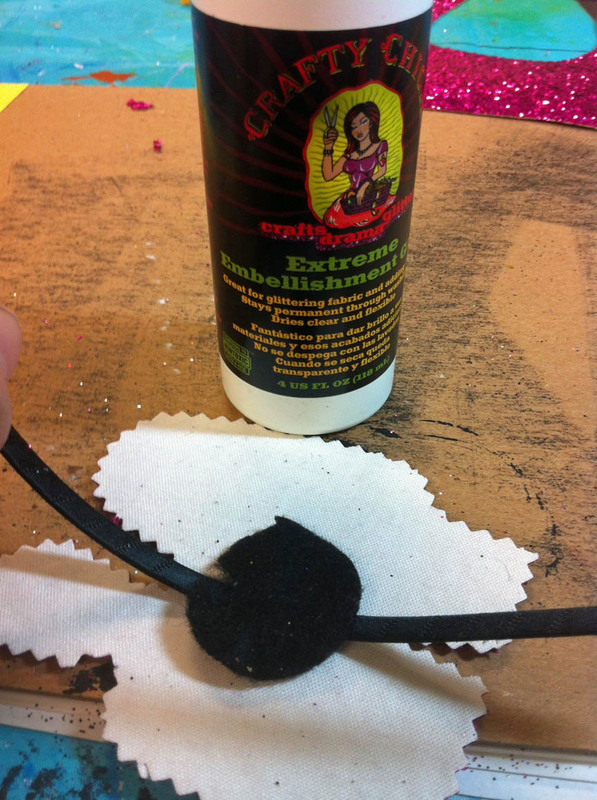 Once you finish the design, glue it to the headband and glue the piece of felt to hold it in place. 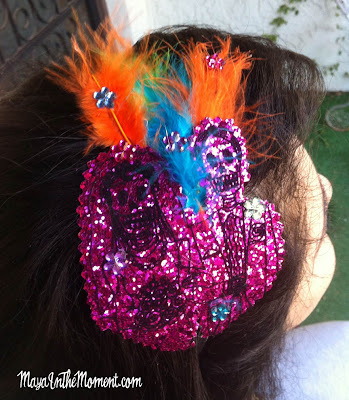 Here is my other project, a hair clip! 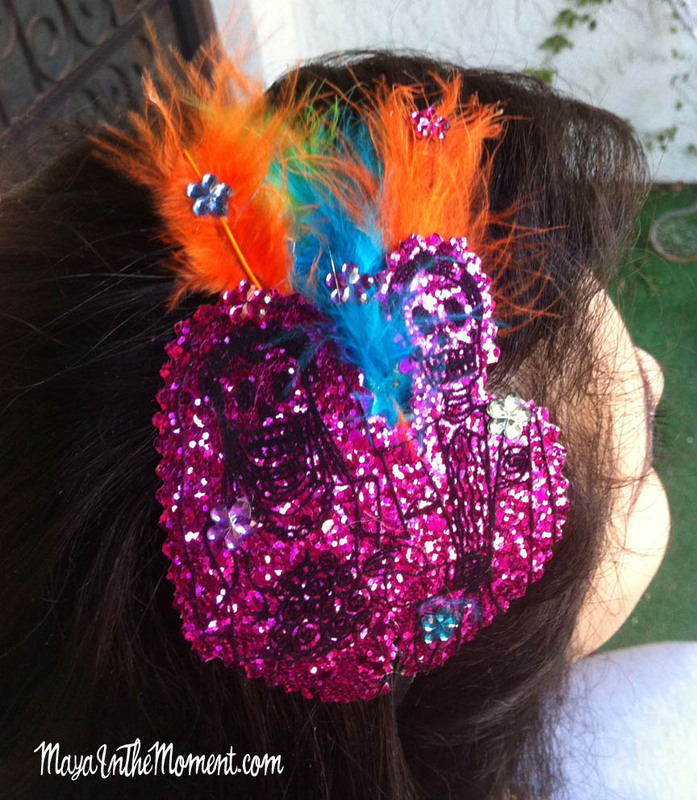 I had a headband with a big zipper thingy that I didn’t like, so I revamped it into a hair clip! 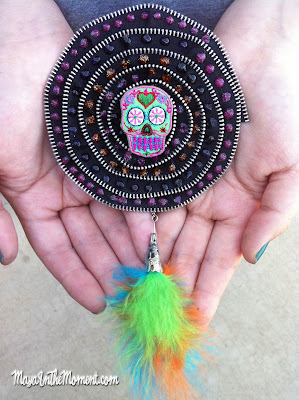 I added Beads in a Bottle and glued the Crafty Chica applique in the center and added a dangling feather! 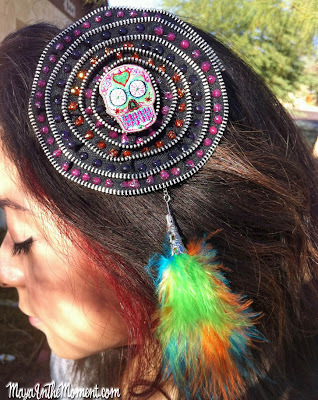 This is a JUMBO hair clip – but if you want you could make it a pin or wristlet…The main objective is to have fun and be bold and colorful!